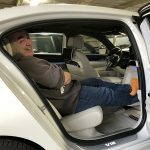 Eric, a former Z3 M Coupe owner (also red), has been driving BMWs since high school and his enjoyment and knowledge of the brand is contagious. 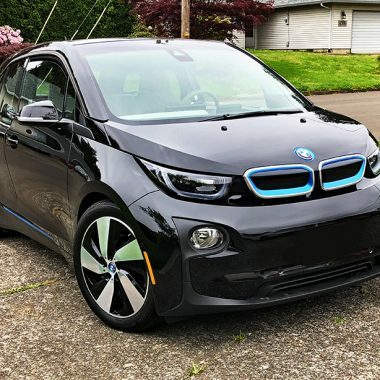 That he has been so kind to let me take his baby out for a drive is super cool, and we both agree that our initial excitement for the car came from the early BMW Film “Star,” where Clive Owen (then a very unknown talent) gives Madonna the ride of her life. 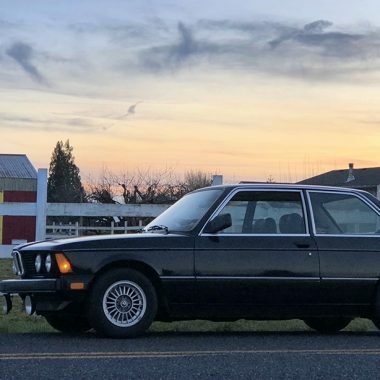 Eric feels that M Cars should be bathed in outrageous colors, but he is quick to point out, “I could have dealt with a silver M5 because of that short film.” Agreed. His car, purchased from the second owner on Craigslist a while back has been well taken care of, and he’s done his share of cosmetic work, bringing it back to pristine shape. This is a car that nearly 20 years later drives like brand new – nary a squeak, rattle, or distraction as we zoom through the countryside on less than perfect roads. A true testament to BMW build quality. As with any M car, it’s all about the engine and experience. The heavy steering is wickedly communicative, gear change sublime, and the balance is perfect. Even though my new M235 is just as quick, it feels like toy car in comparison to the M5. This is a beefy automobile that doesn’t realize it’s a 4,000 pound sedan. After spending a lot of time with turbocharged, 6-cylinder cars, and their sense of boosted immediacy (a different kind of fun) the linear, never ending power of a big V-8 instantly puts you under its spell. Though today is a rainy day, and I’m unwilling to take any chances with someone else’s pride and joy, I do get a chance to put the pedal down a bit on a few straights – incredible. Even after a short drive, I could write thousands of words describing the multitude of sensory inputs behind the wheel of this incredibly special car. 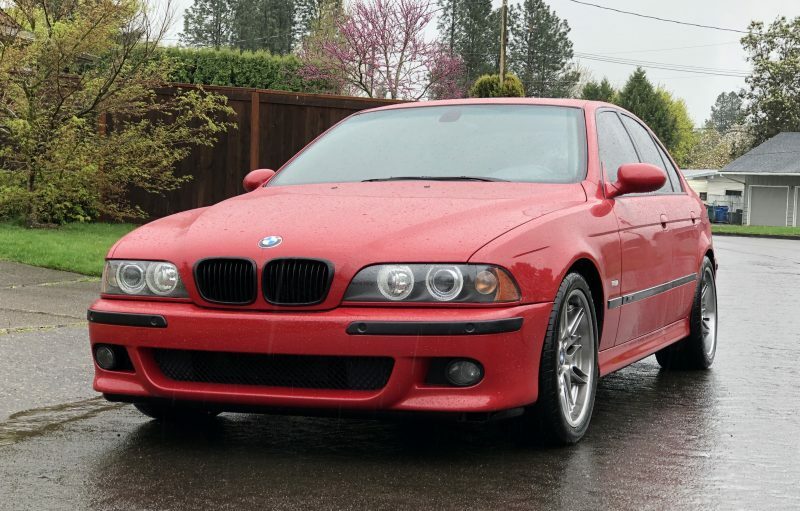 But if I had to describe the E39 M5 in one word it would be precise. If I had one more word, it would be stealthy. If I had one, I’d put a baby seat in the back, just to throw the local law enforcement officers off the scent even further. I’ll report back when Eric has the supercharger sorted and we’ve got a sunny day. That’s no bs.